Istanbul Photo Awards is an international news photography contest organized by Anadolu Agency. The contest aims to contribute to the sphere of news photography and offers a perspective shaped by the region’s unique position at the center of diverse cultures. The awards reward endeavors of courageous and talented photojournalists from around the world on merit. 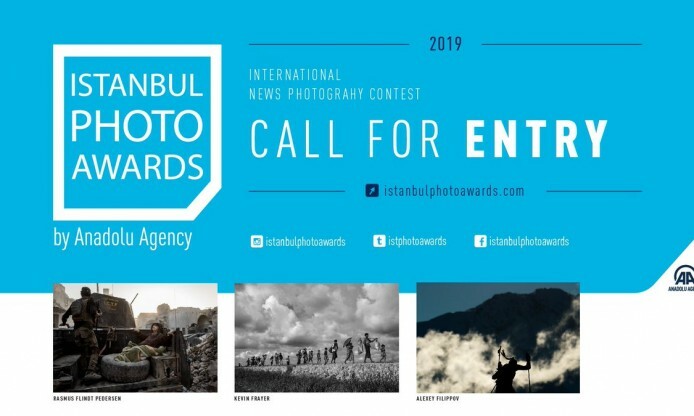 Although it is now only the fourth edition of the contest, Istanbul Photo Awards has become one of the most widely known news photography contests in the world. Photographers are invited to apply all categories at the same time. Kindly note that this contest is for professionals only and Istanbul Photo Awards’ jury may ask for proofs of the source of the photo or publications on newspapers, magazines or web sites. Photographs must be taken in 2018 (i.e. between 01.01.2018 and 31.12.2018), digital manipulation and any kind of photoshop effects is not allowed, only basic color corrections are allowed.